One of the leading contract furniture companies is looking for a Business Development professional. This position will be accountable for the development of new business and the achievement of quarterly and annual sales goals for volume and margin, while assuring a high level of customer satisfaction and positive client relationships. Prospect, strategize and qualify new business opportunities. Provides timely follow-up for client responses and monitors budgets and details to assure complete, accurate solutions. Conducts presentations and demonstrations as required at various points in the sales cycle. Proven sales ability and general understanding of business practices, pricing and discounting are also required. The position is a full time permanent career position with full health and other benefits and retirement plan. It is loaded towards commission with an unlimited upside potential. 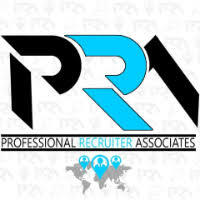 For immediate consideration, please forward a copy of your current resume to info@profrecruiters.com referencing job #1493 or a link to this job.